The stunning brilliance of this Roberto Coin pendant necklace from the Scalare collection will bring a luxurious touch to your look. 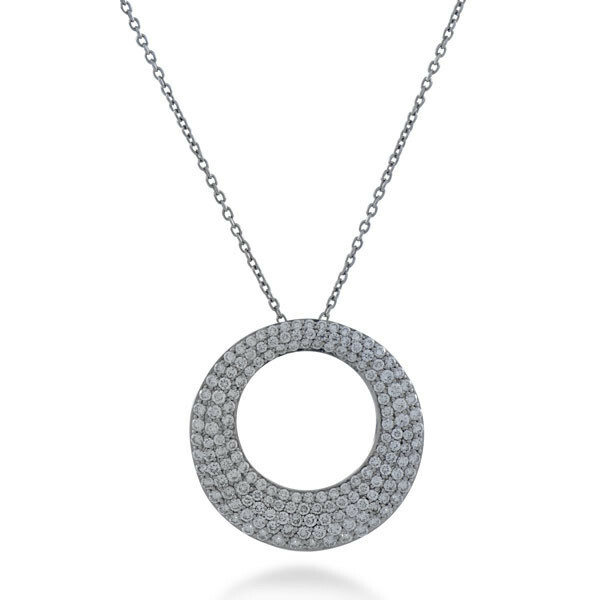 An 18kt white gold irregular circle is adorned with gorgeous white diamonds. This sparkling piece dangles elegantly from an 18" link chain. 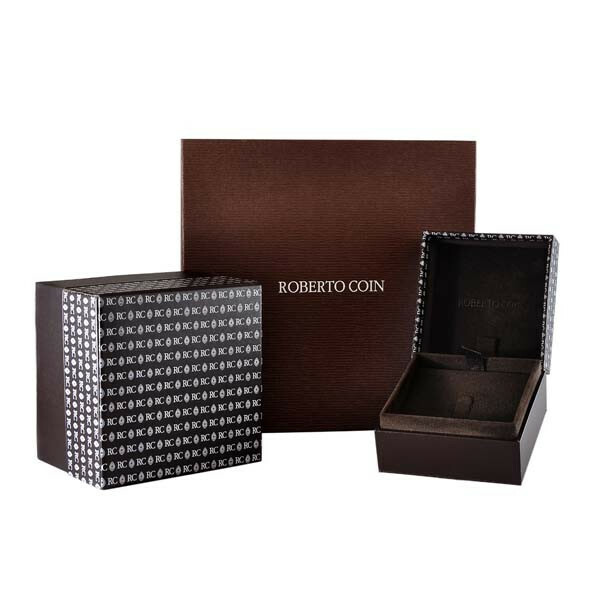 For a great addition to any jewelry collection, try this modern day beauty from Roberto Coin.